New Bookmaking Kits available on Etsy! – WE MAKE BOOKS! New Bookmaking Kits available on Etsy! We are really proud of our new book-making kits which are now available to buy from our wemakebooks shop on etsy. This book-making kit includes all the materials you need and step-by-step illustrated instructions to create a beautiful and simple handmade book with hard covers. You can use it as a notebook, journal, sketchbook or to write and illustrate your own story! 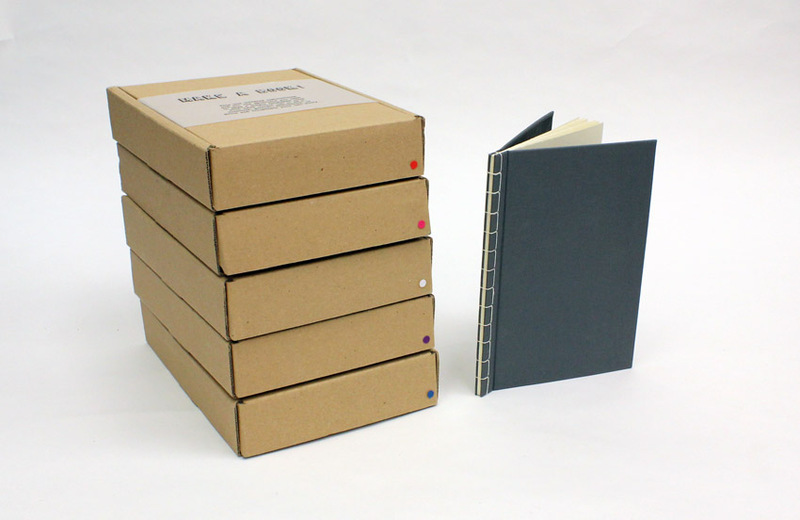 It makes a wonderful gift too for anyone interested in exploring the world of bookbinding! The book is A5 size and you can choose your preferred bookcloth colour which comes in black, blue, brown, green, gray, orange, pink, purple, red, white or yellow.